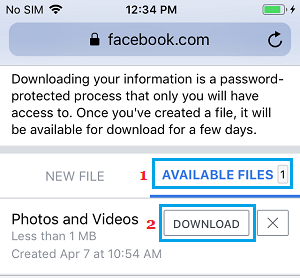 In case you want to, it is possible to download both individual and All Facebook Photos to your Phone. 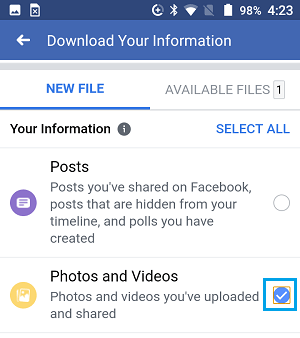 You will find below the steps to download Facebook Photos on iPhone and Android. 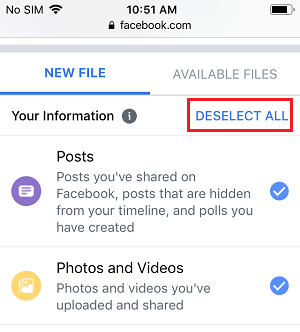 As you continue using Facebook, you will have tons of Photos saved in your Facebook Account. However, all these Photos are saved on Facebooks servers and not on your Phone or computer. Hence, we are providing below the steps to download both individual Photos and All Facebook Photos on iPhone and Android Phone. Follow the steps below to download selected or individual Facebook Photos to your iPhone or Android Phone. 1. Open the Facebook App on your iPhone or Android Phone. 2. Once you are in Facebook, Locate the Photo that you want to download and tap on it. 3. Next, tap on 3 dots icon located at the top right-corner of your screen. 4. In the pop-up, tap on Save to Phone option. Note: In case of iPhone, you will be tapping on Save Photo option. The Photo will be immediately downloaded to your device and it will be available in the Photos App on your Phone. 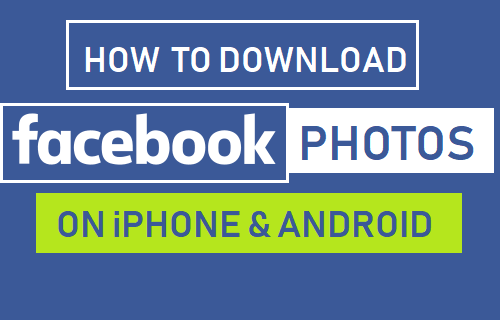 Follow the steps below to download All Facebook Photos to iPhone or Android Phone. 2. 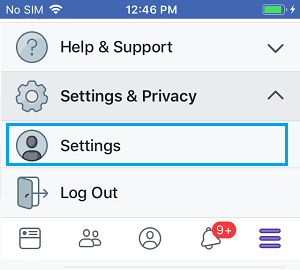 Tap on 3-line Facebook Menu Icon. Note: In case of iPhone 3-line Menu Icon will be located at bottom right corner and in case of Android Phone, it will be located at the top-right corner. 3. On the next screen, scroll down and open Settings & Privacy tab > tap on Settings option. 4. 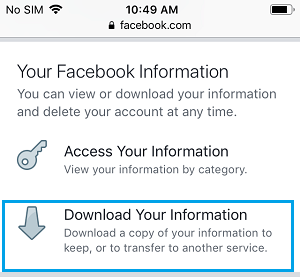 On the Settings screen, scroll down to “Your Facebook Information” section and tap on Download Your Information option. 5. On the next screen, scroll down and tap on Deselect All. 7. On the next screen, select the Media Quality (Low, High, Medium) and tap on Create File button. 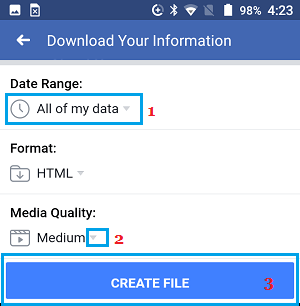 Note: In case you want to download All Facebook Photos at once, leave the “Date Range” setting to All of my data. Facebook will now start the process of creating a File containing all your Facebook Photos. The time to create this file will depend on the size of the data available in your Account. 8. Once the File is available for download, tap on Available Files > Download button. 9. On the Pop-up, enter the Password for your Facebook Account and select the Save Location for the Downloaded File. In case of iPhone, you will be able to save the File to iPhone or to iCloud Drive. 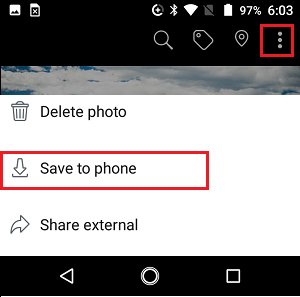 In case of Android Phone, you will only be able to save the File to your Phone.